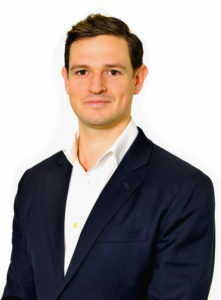 Bradley joined Spencer Ogden in June 2012 and moved to Singapore to establish the company’s first office in the APAC region. In 2015, he was relocated back to Spencer Ogden’s London HQ to lead the EMEA sales alongside Asia. Promoted to CEO in 2017, Bradley is responsible for the day-to-day management of the company. He continues to work closely with Spencer Ogden’s talented management team to deliver the company’s three–year growth plan and maintain its position as the global energy, engineering, and infrastructure recruiter of choice.